March 8-17 is a busy time here in the ATX. While we are rockin’ and rollin’ at the Capitol, others are taking in the sights and sounds of Austin during the SXSW festival. We decided to wake up extra early today to enjoy a small taste of this week’s event! 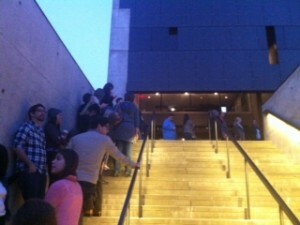 These people were in line at 3:30am this morning!!! You can check out what it’s all about here: http://sxsw.com/ and maybe join in the fun next year!